The three stemmed votives stand at 10", 12", and 14". Perfect for centerpieces. 3 1/4" opening- a 2" floating candle is recommended. 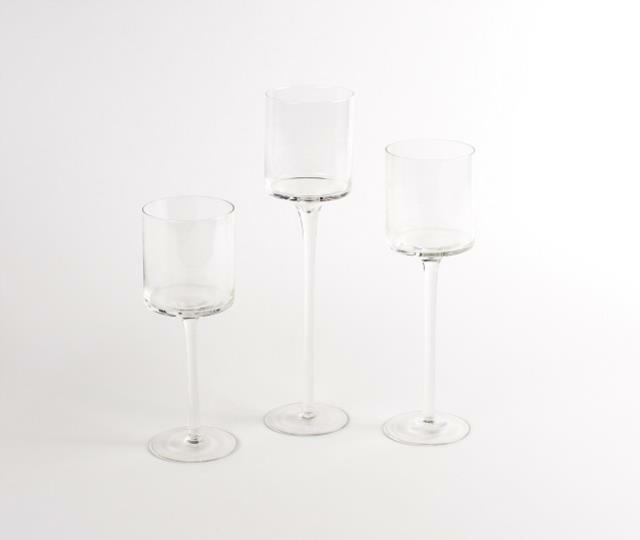 * Please call us with any questions about our votive glass stem set/3 rentals in Columbia and Jefferson City MO.